Unlike the staid, quiet museums that we’re used to in the West, Guangxi Museum is a vibrant establishment of living history, with live performances, interactive exhibits and a wealth of cultural resources. The museum stretches over a phenomenal area of just over 32,000 square metres or about 4 and a half football pitches! Guangxi Museum is just east of Qiyi Square in Nanning city, but be sure to set aside plenty of time to visit it, as walking between exhibits alone will leave you exhausted. If you plan your journey carefully, you should even be able to take part in a few of the demonstrations at the Cultural Heritage Centre. Guangxi Museum is particularly famous for its impressive collection of bronze drums. Some of these drums date all the way back to the Spring and Autumn Period (770-476B.C.) and, with 360 of the 610 in existence, Guangxi has the largest collection in the world. Among the 60 bronze drums that are currently on display, there is one referred to as the “King of Bronze Drums” because it is the largest of its kind in the world. Being the largest bronze drum may not seem that impressive at first, but when you consider that this drum weighs more than two baby elephants, you can see why they call it the King. Yet drums aren’t the only thing on offer. 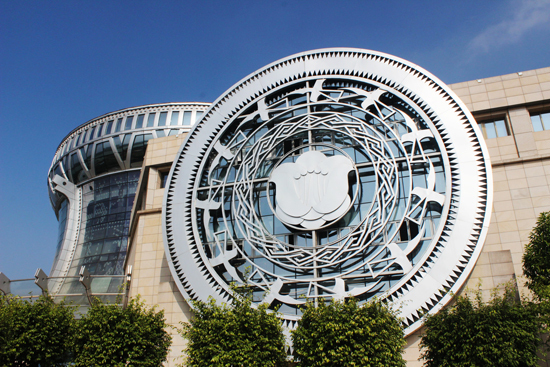 The museum houses over 50,000 cultural relics whose histories stretch over thousands of years. There’s an 800,000-year-old hand-axe, a huge and mysterious spade from the Neolithic Age (c. 8500-2100 B.C. ), a wooden tablet that was inscribed during the Han Dynasty (206 B.C.–220 A.D.), a mystical bronze basin with fairy-tales carved into it, and a bronze horse that is nearly 1.5 metres (3.7 ft.) tall. Amongst the strange wonders, antiquated paintings, revolutionary documents, and ancient books that make up the many exhibits, you’ll probably start to feel a little overwhelmed! Not to worry, Guangxi Museum has a light-hearted side too. As you pass through the many exhibitions, you’ll come upon the Guangxi Folk Customs Exposition. 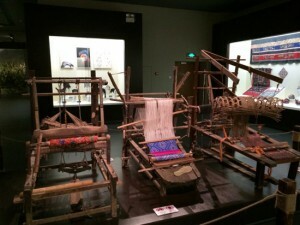 This is a sequence of exhibits featuring cultural artefacts and historical information about 11 of the resident ethnic minorities, including the Zhuang, Yao, Miao, Dong, Shui, Hui, Yi, Gelao, Mulao, and Maonan people. The vibrant colours of the festival outfits and the charming legends of these ethnic minorities make a stark contrast to the sombre atmosphere of the other exhibits and will add a touch of excitement to your museum tour. After looking at so much tantalising jewellery and reading about so many delicious local dishes, you’ll want to rush to the nearest small village to have a try! But there’s no need to travel all the way to ethnic villages like Huangluo or Dazhai. The Guangxi Museum has added a Cultural Heritage Centre where visitors can watch performances by members of the aforementioned ethnic groups. The centre is so large that it also contains replicas of various ethnic structures, including drum towers, wind-and-rain bridges, and typical village gates. This section of the museum boasts a more interactive approach to history, where visitors can participate in antiphonal singing, dance with the performers, learn the traditional way of making bean curd (tofu), wine, and soya-bean milk, and join in a number of other folk activities. Here you can sing your heart out, dance till you drop, and sample some of the finest delicacies that the ethnic minorities of Guangxi have to offer.